This one of the best, i simply love this raita. The spice and sweetness of the Capsicum makes it awesome. Simple to make as I mentioned earlier. Nice recipe. I make a raita with bigger green chillies which are not hot, as my husband is allergic to capsicum, but his one with coconut would be a lot better. Loved it. awesome and lovely pachadi and I am going to try it out very soon. cooking the capsicum in cooker is very new to me. I generally roast it & make raita. Hi Vanamala, yummy,will try it out, tnx! This is one of my fav raita's. Is perfect with south Indian food. 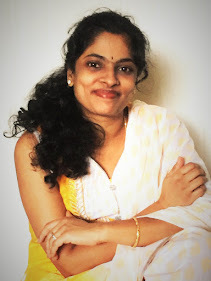 Thank you so much Vanamala for your comment on my blog! I am happy to visit your blog & see a lovely collection of recipes! I am a huge fan of different types of Raitha & I am bookmarking this as well! Nice recipe. In a pressure cokker. completely new to me..
Lovely raita, looks so delicious. Interesting. Never tried raita with capsicum. thanks for stopping by my blog Mala! 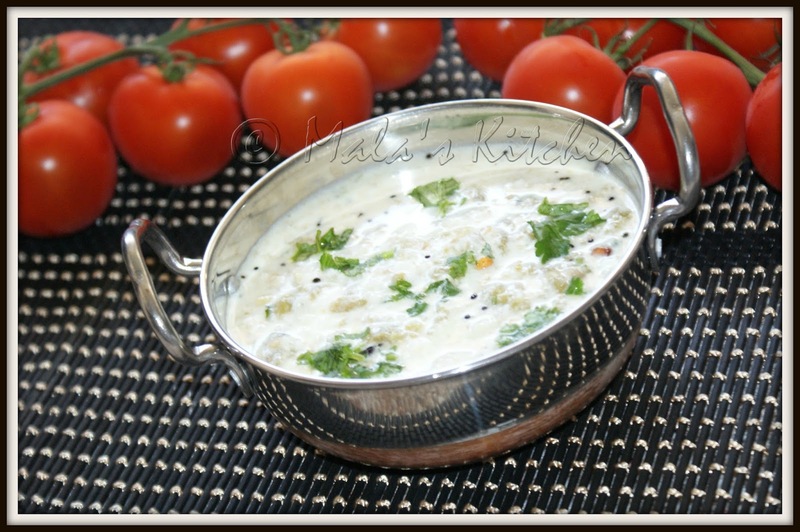 :) raita with bell pepper looks delicious!